UT hosted the annual meeting of The Society for Ethnomusicology, Southeast and Caribbean Chapter (SEMSEC): Peaks and Valleys. Guest Artists: The Kronos quartet paid UT a visit in March 2015. WJ Julian, UT Legendary Marching Band Director, Passes Away May 26, 2015. Dr. Kelly Thomas, Lecturer of Tuba, passes away June 7, 2015. Dr. Marvelene Moore (Music Education) retires after 35 years of teaching at UT. 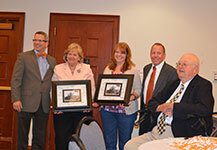 Dr. Karen Ladd (theory) retires after 21 years of teaching at UT. Dr. Kenneth Jacobs (composition) after 40 years of teaching at UT. Dr. Victor Chavez hired as Assistant Professor of Clarinet. Guest artists included: Andre Watts, piano; Byron Janis, piano; Steve Reich, composer; John Luther Adams, composer; the Swingle Singers. UT School of Music hosted the 2014 Joint Conference of the Southern and Mid-Atlantic chapters of the College Music Society and the Association for Technology in Music Instruction. UT School of Music, the UT College of Arts & Sciences and the Southern Chapter of the College Music Society sponsor the Doc Severinsen International Composition Contest. Winning pieces played on February 14, 2014. The School of Music moved into the Natalie L. Haslam Music Center in July 2013. 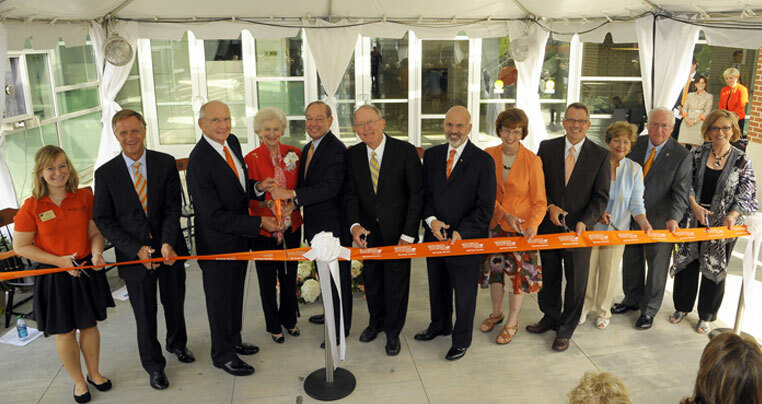 The Music Center was dedicated September 12-13, 2013. 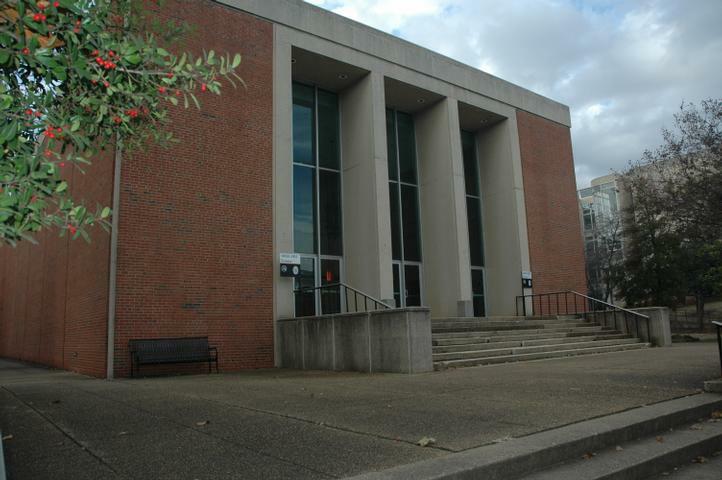 The University of Tennessee, Knoxville's School of Music is an All-Steinway School, meaning that at least 90 percent of its pianos are Steinway-designed pianos. Sande MacMorran (Tuba/Euphonium) retires in December 2013. Dr. Donald Pederson (Music Theory) retires after 44 years of teaching at UT. Mr. Gary Sperl (clarinet) retires after 36 years of teaching at UT. Dr. Cathy Leach appointed as Associate Director for Undergraduate Studies in the School of Music. Dr. Allison Dromgold Adams hired as Assistant Professor of Saxophone. Dr. Katie Johnson hired as Assistant Professor of Horn. Ms. Lori Thomas Brown hired as First-year Coordinator. Chamber Singers, under the direction of Dr. Angela Batey, travels to Dublin and Belfast, Ireland to perform. Dr. Andy Bliss appointed Assistant Professor of Percussion. Dr. Jacqueline Avila appointed Assistant Professor of Musicology. Director Roger L. Stephens passed away on February 20, 2011. Dr. Angela Batey appointed Interim Director of the School of Music. Clarinet Choir performed concerts in The People's Republic of China (March 11-20, 2011). William J. (Bill) Scarlett, Jr., Professor of Jazz, Clarinet, Saxophone, and Music Theory from 1957-1994, passed away on March 28, 2011. James Marvel appointed as Director of Opera. 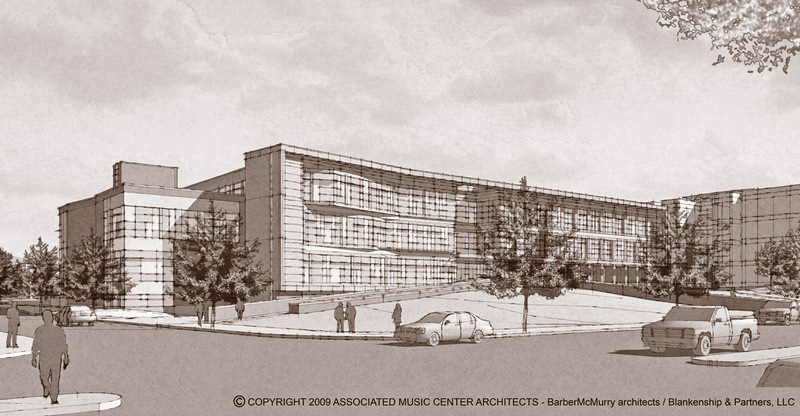 School of Music breaks ground for the building of the new Natalie L. Haslam Music Center to be completed in 2012-13. 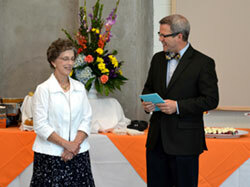 Pauline Bayne, Assistant Dean of UT Libraries and former Head of Music Library (since 1973), retires. Dr. Walter Hawthorne retires after 38 years of service as a Professor of Music Theory. Graduate Certificate in Music Theory Pedagogy is added to program offerings. The Pride of the Southland Band marched in its 12th consecutive Presidential Inaugural Parade representing the State of Tennessee. No other non-military organization in the country has established this record of performance at this prestigious event. Theta Omicron chapter of Phi Mu Alpha Sinfonia celebrated their 50th anniversary on May 16. Dr. David Stutzenberger retires after 26 years as Director of Choral Activities. Dr. Angela Batey named Director of Choral Activities. Pride of the Southland Band marched in the St. Patrick's Day Parade in Dublin, Ireland. 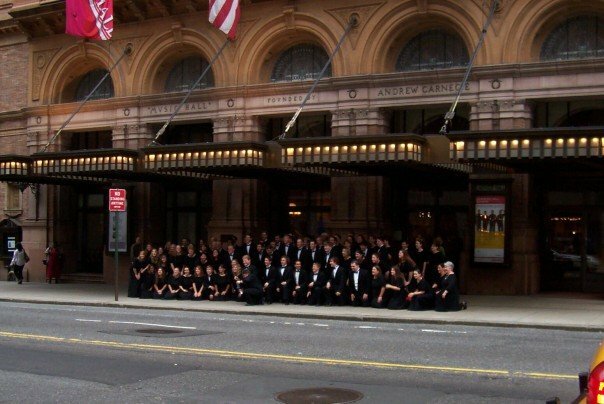 Dr. Angela Batey conducts the UT Choirs in Carnegie Hall (New York) sponsored by Mid-America Productions. New Richards, Fowkes & Co. organ installed in the Alumni Memorial Building (James Cox Auditorium). It features 2900 pipes at a cost of $1.2 million. Graduate Artist Certificate Program is added to program offerings. Sarah Searle retires after 38 years as Professor of Voice. John Brock retires after 40 years as Professor of Organ. He continues to teach part-time. Sandra Leach, Head of AgVet branch, became Head of Branch Library Services, including the Music Library. James and Natalie Haslam of Knoxville, TN donate $10 million to the School of Music to be added to the state capital funds for the building of a new Music Center. Professor Don Hough retires after 41 years as Professor of Trombone. 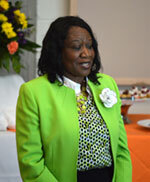 Dr. Dolly Davis, retires after 33 years of service as Professor of Voice. Chamber Singers, under the direction of Dr. David Stutzenberger, traveled to Moscow and St. Petersburg, Russia for a concert tour. Student Clarinet quartet Quattuor Ventus invited to play at the International ClarinetFest in Tokyo, Japan. Pride of the Southland Band performed at the 11th consecutive Presidential Inaugural Parade representing the State of Tennessee. Professor Michael Combs retires after 36 years as Professor of Percussion. Wind Ensemble, under the direction of Dr. Gary Sousa, performs in Carnegie Hall, for the New York Wind Festival. Trombone Jazz Ensemble, under the direction of Don Hough, wins the National and International competition for Best Jazz Trombone Ensemble sponsored by the Eastern Trombone Workshop. The ensemble performed in Helsinki, Finland. Dr. Angela Batey named Associate Director for Graduate Studies. James Fellenbaum hired as Director of Orchestras. School of Music is re-accredited by the National Association of Schools of Music (NASM). Roger L. Stephens is the new Director of the School of Music. Barbara Murphy and Cathy Leach are Associate Directors for undergraduate and graduate studies. Trombone Choir, under the direction of Don Hough, won the prestigious National Competition for Best Jazz Trombone Ensemble sponsored by the Eastern Trombone Workshop. Andrew Wentzel, Bass-Baritone, debuts as the new singer of the National Anthem at football games September 29, 2001. Dr. Wayne Bailey resigns to accept position as Director of the Arizona State University School of Music. Dr. Dolly Davis is appointed interim Director. George DeVine, Professor Emeritus of the Department of Music, for whom the Music Library was named, dies. Dr. Wayne Bailey was appointed the new director of the School of Music. Steve Young, Professor of Musicology, retires after 29 years of teaching at UT. George Bitzas, Professor of Voice also retires, but continues to sing the national anthem at the football games. Dr. Gary Sousa was appointed Director of Bands. A national search for a permanent Head of the Department of Music, put on hold in the previous year, was resumed. 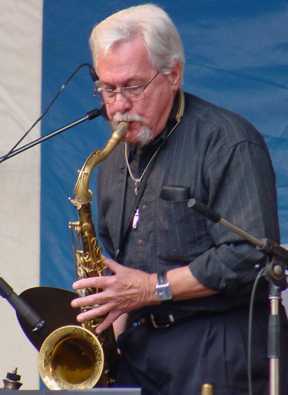 Jerry Coker, Director of Jazz and Studio Music retires, but continues part-time teaching jazz saxophone and improvisation. Dr. Ken Keeling resigned at the end of the spring semester to become head of the music school at Carnegie-Mellon University, Pittsburgh. Associate Head Dr. Dolly Davis was appointed Acting Head. 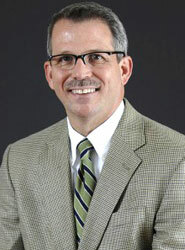 Professor John Brock was appointed Acting Associate Head. Alan Johnson, Professor of Composition, retires after 25 years of teaching at UT. David Van Vactor died in Los Angeles, March 24, shortly before his 88th birthday. 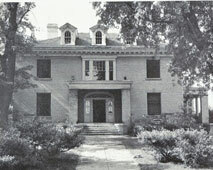 The old residence at 1515 West Cumberland Avenue, the original home of the Department of Music, was demolished during the summer to make way for the new Law School building. W. J. Julian, director of bands, retires. In June the Board of Trustees approved the marriage of Music Education and Music – after forty-four years of their sometimes uneasy cohabitation – to form one department in the College of Liberal Arts with Dr. Kenneth Keeling as Head. John Meacham resigned as Head of the Department at the end of the spring session, and Dr. Kenneth Keeling was appointed the sixth Head of the Music Department. Besides chairing other university music departments before coming to UT, Dr. Keeling had served the National Association of Schools of Music for some years – and continued to do so – as an evaluator of academic music departments around the country. His achievements at UT in fact included reaccreditation of the Department of Music by NASM. He also worked for more community involvement with the department. Apart from his administrative duties, Dr. Keeling usually taught a class each semester and performed frequently on the clarinet in ensemble performances and in the KSO. George DeVine retired after thirty-eight years of service in the Department of Music. 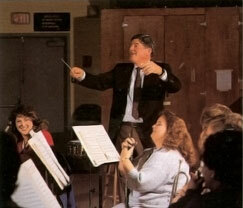 In the early years of the Department of Fine Arts he was administrative assistant to the Head, but also taught orchestration and music appreciation and directed the concert band. His principle subjects, however, were soon to be in the domain of music history. He also helped develop the music library, which was named for him at his retirement dinner. In addition to his service to the University, he played bassoon in the Knoxville Symphony for some twenty years and wrote the program notes for the KSO for forty years. Mr. DeVine, a largely self-taught musician and scholar and a dedicated teacher, steadily rose through the ranks to become a Full Professor at the University – with no college degree whatsoever, but only a diploma from the Carl Schurz High School in Chicago. 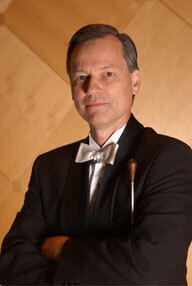 Flutist John Meacham replaced William Starr as Head of the Department of Music. Mr. Starr retired and moved to Colorado, where he is still active as a leading American exponent and teacher of the Suzuki program. Dr. David Stutzenberger was appointed Director of Choral Activities. 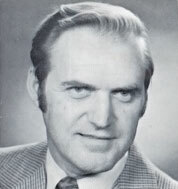 Mr. Schmeid, 74, died on April 26. Dr. Marvelene Moore, a specialist in music for elementary grades, was appointed to the faculty of the Department of Music Education on the retirement of Dr. Juliaette Jones. A new tracker-action pipe organ built by Gabriel Kney of London, Ontario, was installed in the fourth-floor organ studio. John Brock of the music faculty played the dedicatory recital April 9. Alfred Leo Schmied retired after thirty years of teaching piano in the Department. The following Thanksgiving Day he severed two-thirds of his left index finger in a woodworking accident and promptly began to learn how to play the piano with nine fingers. In this, the year before his retirement Mr. Holford led the UT Singers in a concert tour behind the Iron Curtain. William Starr, faculty member since 1949, was appointed Head of the Department of Music. Arpad Joo directed the Knoxville Symphony in the world premiere of David Van Vactor's Fifth Symphony, and the composer retired from his teaching post in the Department of Music. 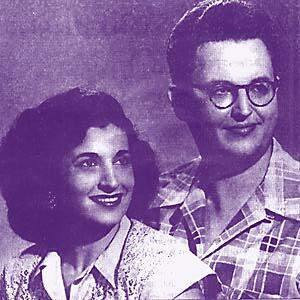 C. Kermit ("Buck") Ewing, the founding Head of the Art Department, died while vacationing with his wife in Bali. Dr. Charles Ball was appointed Head of the Department of Music Education. The noted "pioneer" in the pedagogy of jazz, Jerry Coker, arrived to create and head a program in jazz. Dr. J. Clark Rhodes died on December 9. Composer Dr. Kenneth Jacobs joined the faculty to build an electronic-music studio and develop a program in electronic music. Pauline Shaw (Bayne) was appointed Head of the Music Library, and all budgetary support and administration were transferred from the Department of Music to the University Libraries. Donald Neuen joined the Department as Director of Choral Activities. 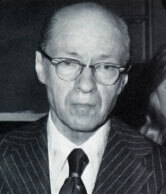 Alfred Schmied ended his twenty-year tenure as Head of the Music Department but continued as professor of piano until his retirement in 1977. 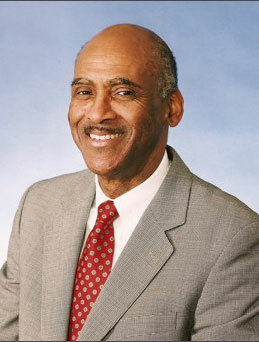 Dr. Herbert W. Fred was appointed Head. David Van Vactor retired in December, in mid-season, from his 25-year position as conductor of the Knoxville Symphony. Two years later the state legislature named him "Composer Laureate of the State of Tennessee." Dr. Julian introduced a new song to the fans at Neyland Stadium that immediately became the school's unofficial fight song -"Rocky Top!" (written by Felice and Boudleaux Bryant in 1967). The Music Library became an official branch of the University Libraries. The Department of Music added to the faculty its first full-time teacher of percussion. The departmental reports lauded that teacher, Michael Combs, "for developing the percussion program in one year from a state of somnambulism to one of the most active ensemble groups in the department." Dr. Donald Pederson, newly appointed to the theoryprogram, began to introduce computer applications in the curriculum. With the advent in the mid-70s ofmicrocomputers (personalcomputers) he began to develop computer-assisted instruction in music together with a microcomputer-based lab. The Department of Music and the Department of Art and Music Education moved into the new Music Building on Volunteer Boulevard. Throughout their eighteen years of existence the Departments had made do with inadequate housing – in old residences and in "Splinter Hall," a "temporary" barracks acquired after the war from the army. The new $1.4 million building was obviously cause for celebration, even if it was already crowded in its first year. After some seventeen years of coexistence in the Fine Arts Department – which had always been headed by a musician – Art and Music became separate departments. The Department of Art and Music Education remained in the College of Education while continuing to share facilities, personnel, and students with the Department of Music and Art. The Department of Fine Arts initiated graduate programs in music, offering the Master of Music (performance) and the Master of Arts degrees. The UT Singers were designated "Good Will Ambassadors of the State of Tennessee" by Governor Clement and made their third tour of Europe. Department of Fine Arts and Art and Music Education became associate members of the National Association of Schools of Music (NASM). Dr. Alfred W. Humphreys succeeded Dr. Ewin Schneider as Head of the Department of Art and Music Education. W J Julian hired as Director of Bands. Under his direction (until 1993), the band grew in size, prestige, and reputation. In his first season as director, Dr. Julian designed new uniforms for the band. These uniforms have remained a tradition at the University of Tennessee. The band was moved from the Military Department and placed under Music Education. By 1964, the band had grown to over 140 men and women. Under Dr. Julian, the band was revolutionized in style and appearance, and was known not only for its level of performance, but also as an innovator of the "circle-drill" and "flower-drill." Countless other traditions were established under Julian's leadership including the opening of the "T" for the football team at every pre-game ceremony. All the bands, the Pride of the Southland marching band as well as the concert bands, were now put, at least administratively, in the Department of Music Education (although many of the players in the marching band were neither music nor music-education majors). The East Tennessee Scottish Rite Temple Consistory endowed a Chair of Choral Art, directed by Mr. Holford, which across the years brought to the campus many persons of high esteem in the field, such as Robert Shaw, Noah Greenburg, Hugh Ross, and Julias Herford. Pride of the Southland director Major Ryba retires. The Gamma Rho chapter of Sigma Alpha Iota was formed on April 23, 1960. Theta Omicron chapter of Phi Mu Alpha Sinfonia is chartered on May 16, 1959. Ambrose Holford, who had replaced Dr. Tegnell in voice and the choral program, staged and directed the first opera undertaken by the department, Mozart's Marrige of Figaro. The Junior Chamber of Commerce backed the two performances at the Bijou Theater. The cast, chorus, and orchestra included many students, as well as faculty members and townspeople. During succeeding years, Mr. Holford and newly arrived baritone Edward Zambara developed a highly successful choral program and opera workshop. Music Education rose to the status of a department in the College of Education with Dr. Erwin Schneider as Head. The Department of Fine Arts inaugurated its program for the Bachelor of Music degree. Mr. Van Vactor relinquished his position as head of the department and was replaced by Mr. Schmied, who directed the department for the next twenty years. The first competition for the Grace Moore Scholarship in voice was held in April. The winner was Mary Boswell of Gallatin Tennessee. Ed Harris, sports reporter for the Knoxville Journal, dubbed the band as the "Pride of the Southland." Dr. John Carl Tegnell arrived to become the first full-time voice teacher and to take over the choral program, which had remained in Music Education. William Starr, violinist, began his long tenure as a teacher in the department and as the concertmaster of the Knoxville Symphony. The university's radio station, WUOT, began broadcasting, 300watts FM, at first five-and-a-half hours each weekday. Programming included occasional performances by music faculty and students. Composer, conductor, and flutist David Van Vactor arrived from Chicago via Kansas City to head the new department and to become the new conductor of Knoxville Symphony Orchestra. The only other full-time faculty member in music that first year was pianist Alfred L. Schmied from St. Louis. Van Vactor's copyist George DeVine came to serve as the department's secretary and administrative assistant. Several local musicians served as part-time instructors of applied music. C. Kermit Ewing arrived in January, 1948 to create direct and teach in the program for visual arts. 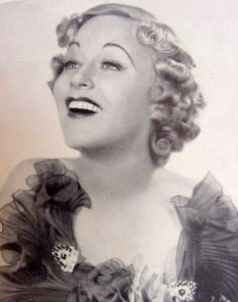 During a concert tour of Europe, opera star Grace Moore, "the Tennessee Nightingale," died January 26 in a plane crash just after take-off from Copenhagen. Associate Professors of Music Education in the College of Education Lester S. Bucher and John Clark Rhodes were the first music faculty to be appointed to the regular faculty of UT. These two tried to offer a fullarray of music and music education courses during the regular academic year as well as in the summer—a daunting task for two professors. They soon joined others in the community in calling for a separate department to handle training in music and the visual arts so that they could concentrate on the pedagogy of music. Walter Ryba was named the new UT bandmaster. In this decade, women were brought into the band. One of the first women to play with the band was Martha Carroll, who played the lyre, and a marimba player named Marjorie Abbott. By 1946, women outnumbered the male members of the band, due to World War II, and the lack of male students. By 1949, the band was once again all male, but retained female majorettes. The band's half-time shows became theme-oriented and included guest artists. The ROTC still had a concert band and played concerts on campus. Many of the concerts were fashioned after what John Philip Sousa had done as far back as 1880. A report commissioned by Dean Lexemuel R. Hesler of the College of Liberal Arts recommended the creation of an "experimental" Department of Fine Arts—not for professional training in the arts, but simply to acquaint UT students with "the history and basic theory" of the various arts, possibly providing some "enrichment and harmonizing" of their lives. Nothing came of that recommendation, however, for ten years, until money started flowing into the university with the GIs returning from World War II. Ernest W. Hall replaces William Crouch as UT bandmaster. 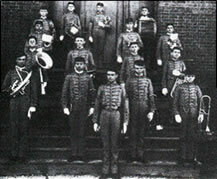 During Hall's tenure, the band grew to over 80 members, though still an all-male band. The UT band, wearing WWI-style uniforms, had 30 members, and was under the leadership of William Crouch. The Summer School of the South opened on the UT campus. Its annual sessions attracted school teachers from all over the South, offering them courses in "Common School Subjects and Methods" ranging form reading and arithmetic to music. It was eventually absorbed by the College of Education, and its school-music courses ultimately became the Department of Music Education. The UT Band performed for the first time at the home football game against Sewanee (UT 6 - Sewanee 0). At the turn of the century, William A. Knabe took over leadership of the UT band, and held the position of bandmaster until his death in 1914. Charles P. Garratt replaces Ernest Garratt as UT bandmaster. 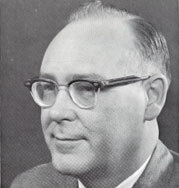 The UT band was reorganized under bandmaster Ernest H. Garratt. Gustav Knabe – German immigrant, graduate of the Conservatory at Leipzig—organized UT's cadet marching band and served as its director for some twenty years. He was already known in Knoxville as "a master and an authority in all matters relating to music." The band was a part of the ROTC program at UT, and later, in 1950 was named "The Pride of the Southland."